Note: Two hours before the start of your ceremony time are already included as preparation for your ceremony. Additional time may be purchased by the hour at $125.00 each. *Always include bridal party and the couple. Please make sure these add together to make your TOTAL guest count. *Children under the age of 2 do not get a meal or get counted in your guest count. However, if you need a high chair or booster seat, please let us know. How many at your head table? *Two Appetizers are included in all Buffet, or Family Style events. Three Appetizers are included in all Plated events. Additional appetizers are $3.95 per person. *Two Entrees are included in your package. Additional Entrees are $5 per person. *Plated Events have pre-designated sides for each dish. Yes No Under the age of 2 will not receive a meal. *Names and Table #'s of children must be provided to catering on Monday of Wedding Week. Deli Pack ($16.95 per vendor) Buffet/Family Style ($33 per vendor) Plated Style ($40 per vendor) Platinum Style ($45 per vendor) I have included vendors in my total guest count. We require that you choose a meal to feed your vendors. However, we will take care of any vendors provided directly by The Estate (example: our DJ) free of charge for you. Are you interested in adding Late Night Bites? If you are interested in adding liquor to your bar, please select which level. Do you want to add a champagne toast? Are you interested in adding a craft keg of beer? Would you like to add our Portable Bar to your Cocktail Hour in the Foyer? Which craft keg varietal would you like to add? Are you interested in adding a Simple Times signature drink? What type of signature drink would you like to add? Which type of liquor would you like in your signature drink? Outside alcohol CANNOT be brought into The Estate at any time. You will forfeit your $450 security deposit. Options are Budweiser, Bud Light, Michelob Ultra, Yuengling, Merlot, Cabernet, Chardonnay, White Zinfandel, Rose, Moscato, or Champagne. Please answer. Yes No I am not using The Estate's Florist. Please answer. Yes No, I am doing DIY No, I have a different florist and I will provide The Estate with their information and drop off times. Yes No Up to 5 per table at $5 per table. SERVE SAVE I am not doing a traditional cake. 1 2 3 4 5 6 7 8 *I am not doing a traditional cake. Final amount of tiers is dependent on the amount of guests you end up with as a friendly reminder. Yes No We need to know this information ahead of time so that our pastry chef can put them on the cake properly. Items must be brought to The Estate the Wednesday of wedding week. If you do not know, please get this information directly from Cindy, Enticing Icings. Yes - Gold Yes - Silver No, I have my own. No, We are not cutting the cake. Gold Filigree Silver Filigree White Pedestal White Cupcake Stand I have my own. I do not need a cake stand. Dave Mark Mike Kurt Tara Kamal Charles Patrick Outside DJ - I will provide you with his name and phone number. Will you have live music for your ceremony? Do you need microphones for your ceremony? Yes, 1 Yes, 2 Yes, 3 No We will need to notify our DJ if you need any microphones. If you have chosen not to use our DJ, microphones are not available. Your Outside DJ must provide them with his/her sound equipment. Yes No *Linen colors may not be guaranteed if we do not have a pre-order in the system. *All options can be found by visiting our Wedding Floral and Linen Gallery in a separate browser. What color linen would you like for the cake table? Would you like to add linens to your cabaret tables? If so, what color linen would you like? Yes, Silver Acrylic $1.00 Each Yes, Gold Acrylic $1.00 Each No These go under each person's plate as a decorative item on the table. We have silver and we have gold. Are there any other package additions you would like to add? If you have the lighting package, what perimeter lighting color would you like? Do you or your vendors need any additional tables? *$10 per additional linen. If we are not notified at the final appointment, additional tables cannot be provided. Yes No *Rehearsals cannot be scheduled until 30 days prior to your wedding due to other events going on at the facility. This is listed in your contract. If you do not know this - please make sure to have this information at your final appointment. What is your means of transportation for the bridal party and guests? Please list the hotel you've worked with and their contact information. When will you be dropping off your decor/items? 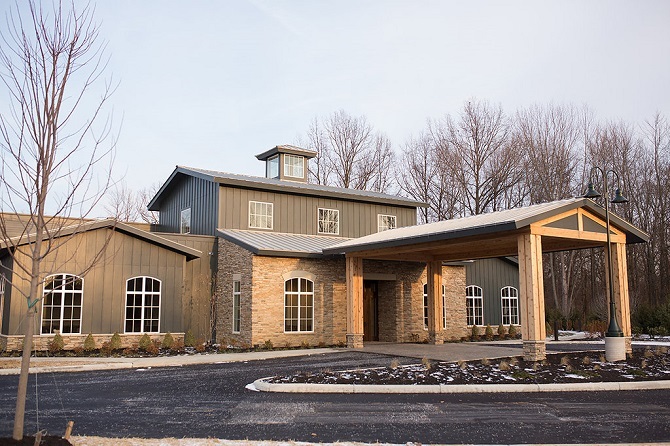 The New Albany Foundation Center of Hope Make-A-Wish Faith Mission Compassion International Wounded Warriors Nationwide Children's Hospital Capital Area Humane Society The James When you book a wedding with us, we will make a donation to the charity of your choosing. 1. Any Seating Charts/Final Count - We cannot wait past the final appointment for your final count.